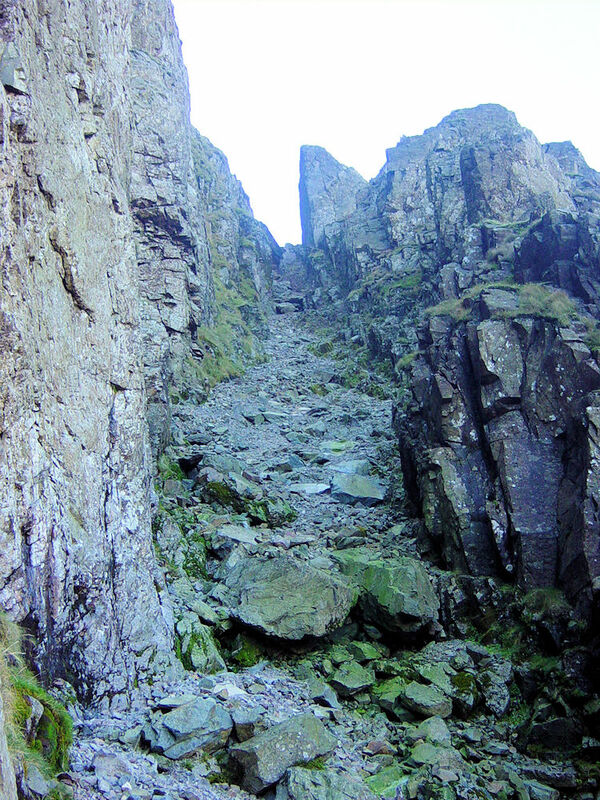 Lord's Rake is not classed as a scramble. 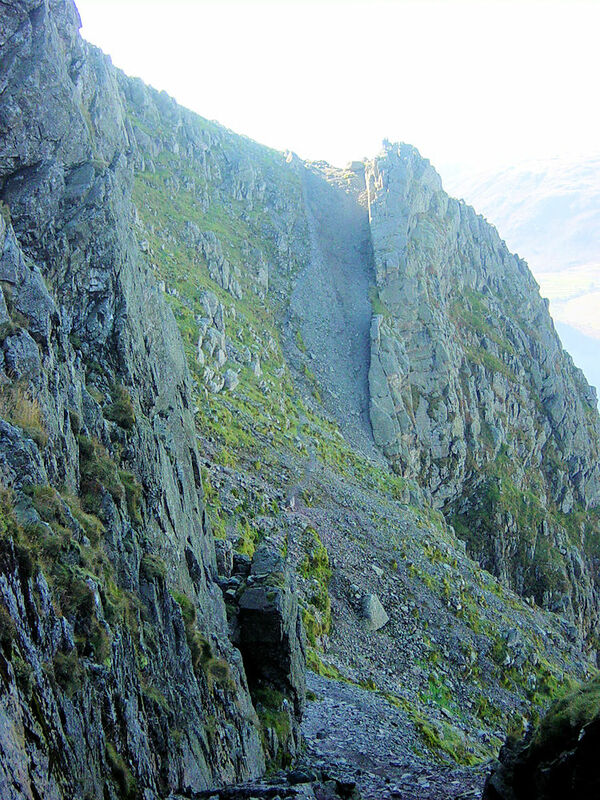 It is a steep gully that leads up onto the Sca Fell plateau and is covered in scree that is constantly breaking away from he sides of the rake. 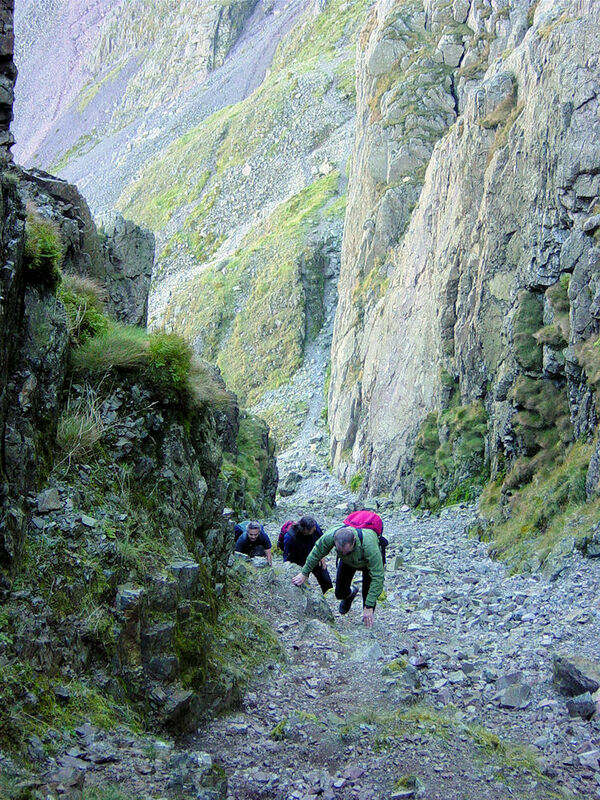 It is the scree that makes the climb difficult as you are constantly striving to keep your feet under the loose scree as it slides down the mountain. I feel it is best climbed by keeping to the right hand side during the ascent because there are more opportunities on this side to get good handgrips on the rock than on the left hand side. By going up the middle you are just making the climb more difficult. "I will be relieved when this is over"
After passing the slab that has broken away the rake drops down to the second of three stiff climbs. This one does not have the benefit of being an enclosed gully as the hill falls away to the left. 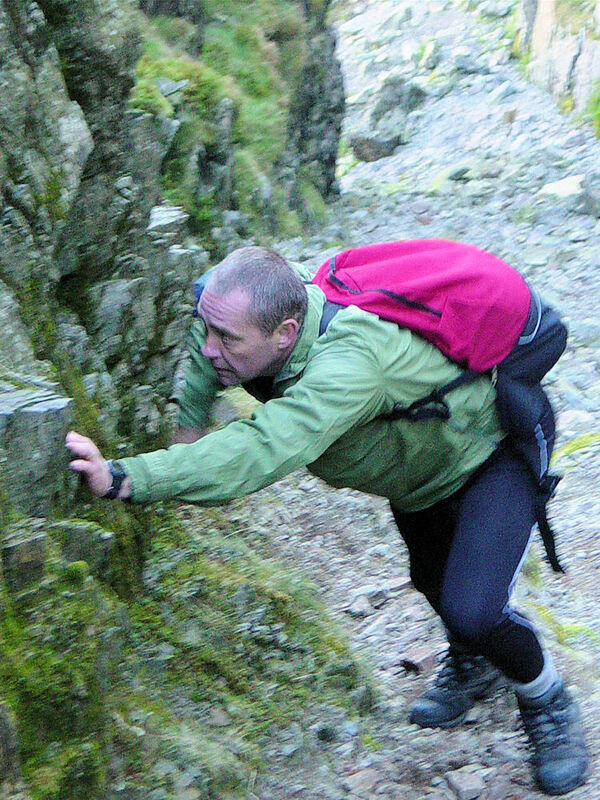 As with the final third climb to the Sca Fell plateau it is now imperative that you keep to a steady balanced walk. A fall to the right could be very serious as can be seen in the final two pictures. To the right of them is an awful lot of space before level ground below. the second pull is easier than the third and is done easily with care. 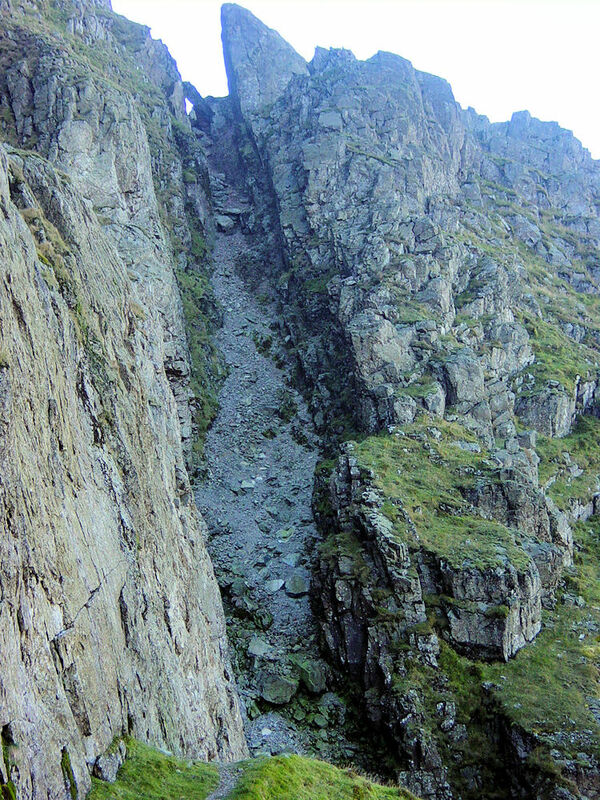 The final climb is the most exposed and can be a little nerve racking as it proved to be for Jez who decided to clamber up to his left before the final scree patch. 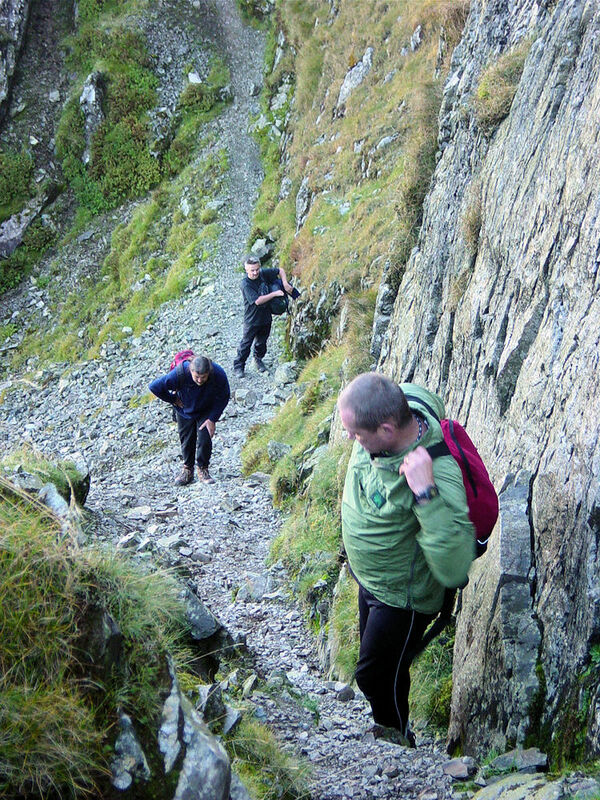 It was steeper for him than for me but he managed ok, as did I as simply walked up the scree. It was easier than it looked. Deke and Spud followed my official way up and we all met at the top of the Rake to enjoy the brilliant views over the mountains and down to Wast Water.